Ummmmmh ... you're making me hungry! 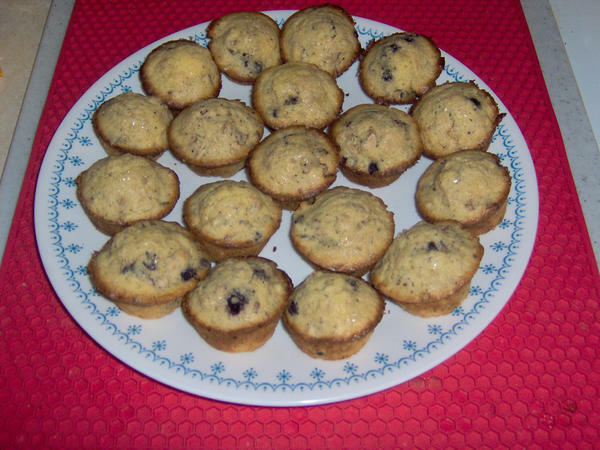 But mini-muffins? That means a person must eat two or three. Sounds great though - lemon and blueberry. yes but they are so small that you don't feel bad eating them and how can you resist something so tiny and cute? This sounds like a great taste combination. I always think blueberries are too sweet, and the lemon would counter-balance that. Now I need to try this. They look yummy. You've done well.